Enjoy 2 three course dinners Merimbula’s Sapphire Club Friday night and High Country Motor Inn Bright Saturday night. Enjoy 2 three course dinners at Merimbula’s Sapphire Club Friday night, High Country Motor Inn Bright Saturday night & two course dinner Star Hotel in Bright Sunday night. 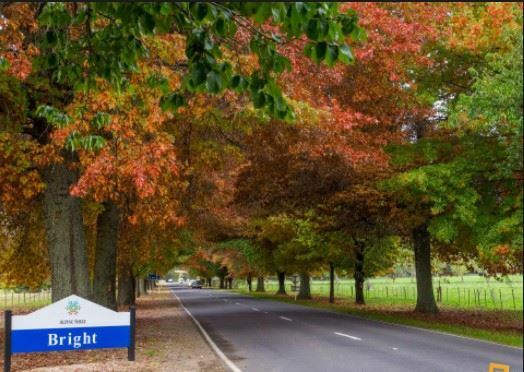 Enjoy a three course dinner High Country Motor Inn Bright Saturday night & two course dinner at Star Hotel in Bright Sunday night. Enjoy a three course meal at the High Country Inn Bright. This social event includes all facets of enjoyable driving, tight winding mountains, sweeping valleys, the best of rural scenery, quaint towns & villages, good sealed roads and no freeways. Coupled with the recommended accommodation, fully catered dinners on Friday, Saturday & Sunday nights, this social driving experience would be hard to better anywhere in our great country. Day 1 – Friday. A stroll down the Princes Hwy, with a few small detours, to our 1st night at Merimbula. Day 2 – Saturday. Continue down the Princes Hwy before turning onto an excellent driver’s road, The Great Alpine Rd, through Omeo and Mt Hotham before our two-night stay at Bright. Day 3 – Sunday. This will be very cruisy day with plenty of opportunity to savour all that the Beechworth/Bright area has to offer. First, we climb up Mt Buffalo’s excellent road for spectacular views and time to explore the mountain area or have a coffee in the charming old Chalet. After descending into the Ovens Valley we make our way up to the delightful old township of Beechworth where a plentiful supply of lunch options and heritage venues await. Day 4 – Monday. Sadly, we say goodbye to Victoria’s wonderful North East and venture our way back to our home state via more fantastic roads & scenery. For those up for a more interesting drive than barrelling up the M31 Hume Hwy via Albury, take a trip across the Tawonga Gap Rd from Bright joining the Kiewa Valley Hwy, then through Tallangatta, Granya State Park and across the border at Jingellic. From here the choice is either Holbrook and home via the Hume or through Tumbarumba, The Elliott Way (with which our Thredbo Drive participants will be familiar) to Kiandra, then Cooma and a suggested Monday night stopover at our favourite QT Hotel in Canberra. High Country Motor Inn $135 per night (Breakfast Included) Ph 03 5755 1244.